The Metabones Canon EF Lens to Sony E Mount Camera T Smart Adapter IV allows for post-2006 Canon lenses in both EF and EF-S mount to be attached to Sony NEX E mount cameras, including the FE mount a7 series. However, expect vignetting when combining EF-S mount lenses and APS-C crop cameras, as EF-S lenses are designed to project an image onto sensors measuring 22.3x14.9mm while NEX cameras measure at a slightly larger 23.5-15.6mm. For using EF-S lenses on full frame sensors, like those found in the a7 series, an "Auto APS-C Size Capture" feature can be used. This adapter maintains full electronic communication between the Canon lens and the NEX/a7 camera, including phase-detect AF support in the a7RII when shooting stills (contrast-detect support only for video capture). It also maintains the IS status of lenses. The wide internal barrel diameter accommodates tilt-shift lenses and is coated with a flocking material to prevent internal reflection when using such lenses. This adapter is equipped with a high performance 32-bit processor that is powered by the camera so no external power source is required for use. Auto magnify enlarges the image in the viewfinder for easier manual focusing when the Canon lens is set to MF position. 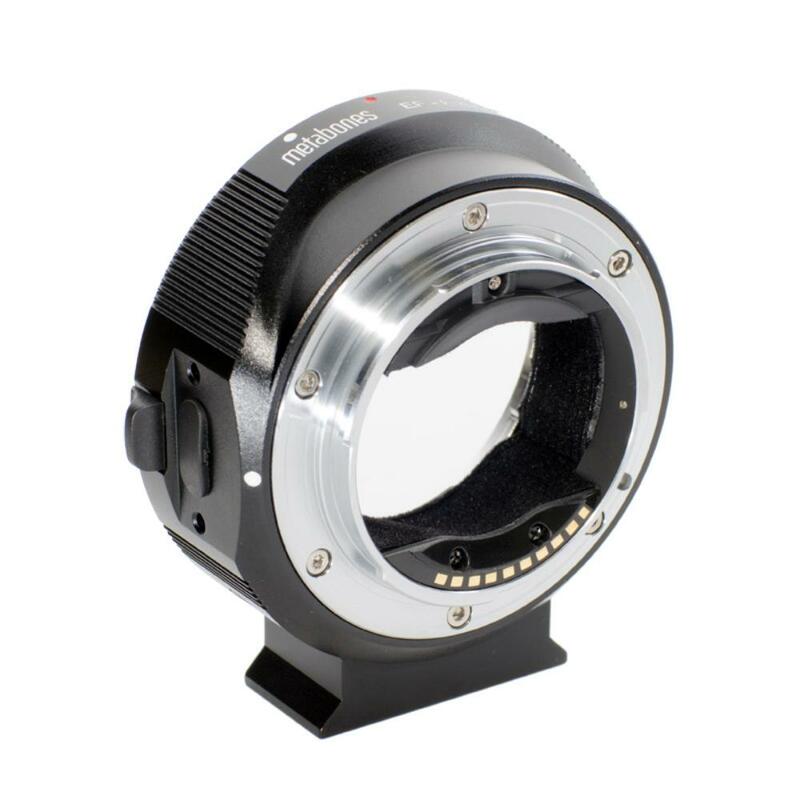 This adapter is ideal for anybody with an E mount camera who would like to explore EF mount lenses or vice versa. Special Note: This adapter is not compatible with the FS7 II. 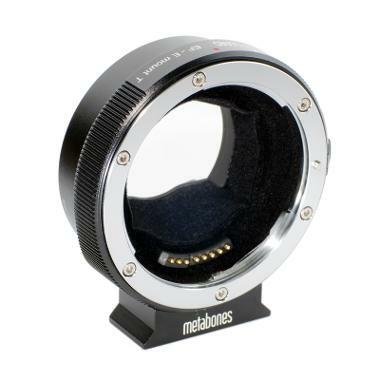 Please instead see the Metabones Canon EF Lens to Sony E Mount Camera T Smart Adapter V.
• Usage of this adapter with Canon EF-S lenses is not recommended due to the 1.6x crop image circle of EF-S lenses and the Sony NEX 1.5x crop factor sensor. EF-S lenses can be used but expect vignetting and experiment at your own risk. For using EF-S lenses on full frame sensors, like those found in the a7 series, an "Auto APS-C Size Capture" feature can be used. • Continuous AF and Direct Manual Focus are not support with this adapter. • AF is maintained in photo mode but not during video capture mode when used with the FS7, the FS700, and the FS100. • This adapter is not compatible with the FS7 II. Please instead see the Metabones Canon EF Lens to Sony E Mount Camera T Smart Adapter V.